It seems there is a serious drawback to booting this game with Action Replay or Freeloader. Both are one in the same though since Freeloader is ON the ActionReplay disc. What happens is, all of the Japanese Text in the game is shown as ASCII. Which means its really hard to identify text in the game. Its all those f's and squiglys and weird o's and dashes. So far the only way to view actual Japanese text, is to get an Import GameCube console. I am actually contemplating this right now. You think the consoles that have the NTSC&JP switch works good? Only when i get the game i think about trying to buy a japanese consoles (or one with that switch) or not. Buying one with a region switch would be risky. I don't know if its the non-japanese system that is affecting the text display, or if its Freeloader. Buying a region switched GameCube could leave you with a "US / PAL" unit setup to play Japanese games, and still display the text improperly. Unless I can confirm somehow that Homeland displays text correctly on a region switch setup, I will buy a standard JPN gamecube. One reason why it is so critical to get this game running with proper Japanese text, is so we could translate the text on screen, by manually inputting characters into a translator online. Now, the game IS playable when the text is displaying improperly, and really only 1 person needs to get an import system do start the translation process. I am not expecting everyone to shell out tons of cash to get import GameCubes. That would be absurd. I do plan to get one though, so I can slowly over time translate parts of this game. I had to reconfirm but you can use any region BBA on any console. They are not region specific. A region-switch cube should be fine. If you open your cube up and solder one of the contacts in there, it sticks it in JP mode. The BIOS is in Japanese text, it plays Japanese games (and won't play NA games), and it formats memory cards for Japanese games. A region-switched cube is the same thing, just not permanent. I don't see why this would not work. I'd suggest trying it out, at least. I have a Japanese game for GameCube, Sonic Gems collection, and all the japanese in menus, in games and all the inscriptions, is displayed properly, so it may not be a Freeloader problem. 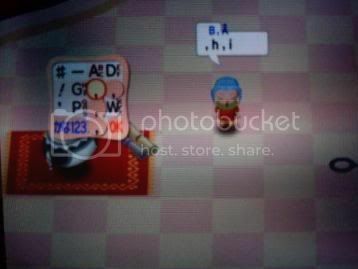 Only when i receive the game I can confirm if my verson or PAL GameCube displays Japanese well in HomeLand. Well, the Japanese in Sonic Gems's menu's may be graphics instead of reading from a font. There is SOME japanese in spots that displays in Homeland, like the text input menu for instance. That is because these parts are comprised of graphics and not pulling from a font source. I have read about people having text problems with other games during my recent searches on the subject matter. 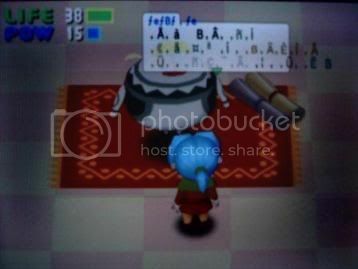 Q: Some of the text and graphics appear to be missing when I play the Japanese version of some games on my US or PAL GameCube? A: The majority of game titles load fine using FreeLoader, but because of the way some Japanese games are programmed some graphics and text can be missing when Japanese versions are played on a US or PAL GameCube using FreeLoader. Ahh excellent. Very interesting. Good to get confirmation on this issue. Now I feel a lot better about getting my Import GameCube, since there is no known workaround for the text issue with freeloader. This means a region-switch might work. Though I paid a lot of money for the import cube, I might also get a spare cube down the road and try to mod it with a region switch just to see if this works. 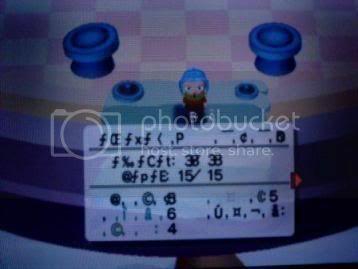 If the Japanese text doesn't show up properly on a US/C Gamecube running the game with a freeloader, what about the English text? Does it still show up? This is relevant, as it would even effect the ability for non-Japanese speakers to communicate in-game. I was trying to say "hi" here. Oh boy I totally forgot how bad it is with Freeloader. Yea playing it like that could pose a bit of a challenge hehe. Typing in-game would be almost impossible. Or should I say "pressing" since this game has no keyboard support. EDIT: I just realised as I was looking at these screens again, that the number values were messed up. I think it might be very very hard to play this game through Freeloader. Almost impossible if all of the number values are going to distort. If the Japanese text doesn't show up properly on a US/C Gamecube running the game with a freeloader, what about the English text????? Like if you were trying to type a chat message to someone? This is reflected above where Starwalker was trying to type in English, and write "hi". I have this problem. It is great is advice for me Thank you.